One of our goals is to grow and raise our own food. Consequently, I write about gardening and food preservation quite a bit. From time to time I show you my pantry and give you a progress report on the status of my food stores. Currently, we're producing all our own vegetables, eggs, milk, cheese, and most of the fruit we consume. This year, we started growing some of our own grain: wheat and corn. In the future, we will focus on more types of grains and meat. I still grocery shop, for things like coffee, cereals, meat, black olives, tuna fish, baking soda, chocolate, sweeteners, a few stock-up items. You'd think because of all we grow I'd be saving a lot, but actually, my food budget remains the same. Why? Because instead of buying people food, I now buy grains and pellets for the chickens and goats too. Add to that other supplies necessary for their well being, more seeds in the spring, and the rising cost of food (both human and animal), and I have to admit that my budgeted food spending hasn't changed a cent since we started working toward food self-sufficiency. A question often arises amongst homesteaders regarding raising one's own food - is it worth it? Is it cost effective to grow and preserve all one's fruits and vegetables, and to raise one's own eggs, meat, or milk? Realistically, wouldn't it be cheaper to buy them? I think the answer to that depends on several things. The temptation is to compare our actual cost with the price tags at the grocery store. Yet what is on grocery store shelves is commercially produced. The quality of food suffers because the ways and means of industrialized agriculture focus on quantity and profit, not quality and nutrition, nor on the well-being of their animals. Are my eggs, produced by free ranged chickens who eat bugs, worms, seeds, grains, fruits and vegetables, equal in quality and value to factory eggs, produced by chickens who are fed formulated pellets and never see light of day? Or, can I really compare my pure raw goat milk to ultra-pasteurized, rBGH grocery store milk? Then there are the added values of manure for the compost, increases in flock and herd, meat and/or sales from culling, plus the endless hours of delightful entertainment watching animal antics. Shouldn't these be factored into the value of producing one's own food? More importantly is one's world view, one's mindset, because this ultimately determines how we set our priorities in life. 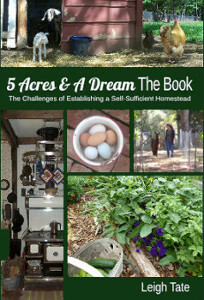 I discussed this in detail in this post, "Mindset: Key to Successful Homesteading?". For our purposes here, we need to consider how mindset determines our motivation toward how we feed ourselves. Am I seeking to raise my own food to gain a financial benefit or a return on an investment? Or because I want to eat real food, to know where it comes from. Maybe I'm motivated by environmental concerns. Or it's simply for the love of doing it. Perhaps I do it because of concerns for the way our world food supply is being managed, and for the sense of purpose, security, and freedom food self-sufficiency affords. In terms of food self-sufficiency, I honestly think money is a poor standard of value. If I look at my garden harvest and only see what it's worth in terms of money, I must realize that its value is unstable and changes as conditions fluctuate. Yet, I always need to eat. That doesn't change. It doesn't change if produce is worth 25 cents a pound, or if it's worth $5 a pound. I still need to eat. For the homesteader, the questions about raising one's own food should be personal and ethical, not financial and economical. The questions we need to ask ourselves are: How do I want to nourish my body, my family? What kind of food do I want to eat? How do I want it grown? How do I want it produced? Do I want to contribute to the environmental problems created by modern agribusiness practices, or help heal them? What are my self-sufficiency goals and how does raising my own food help meet them? Whether or not the cost of raising one's own food is worth it, will depend upon one's answers. For my husband and me, our ultimate goal is to decrease our need for money and our dependency on the consumer system. Raising our own food is an important step in meeting that goal. We are working toward raising all or most of our own animal feed, beginning by planting the wheat, the corn, and black oil sunflower seeds. We will look into other crops as well. We will research pasture improvement and what kinds of hay mixes will grow well in our part of the country. What we can grow will eventually determine the number of animals we can keep; we must strive for a need based balance. It will be a step by step process, but will enable our homestead to be more self-sustaining in the long run. Is it worth it? There's obviously no one-size-fits-all answer, but it is something every homesteader needs to consider. For us, the answer is a resounding yes. I agree. I couldn't put a price tag on how it feels to grow almost all of our own food. Since we are vegetarian, we have seen a difference in our budget since we quit shopping. This allows me to use that money on tools such as an apple press or better pressure canner. The one side effect of growing your own, is that I can no longer can go out to eat. The though of paying for the old, chemical coated, genetically modified stuff they call 'food' turns my stomach. It's all about the quality of food and life...since losing my husband, I find that everything is a challenge, especially at age 62, but homesteaders are used to challenge, but we do it all with a smile and a lot of sweat!!! I loved this post and if you don't mind, I'll be doing a post about it today on my blog, you've described it perfectly. People constantly ask me these questions, it isn't about the money(highly over-rated), it's about the first egg, the first bean sprouts, the sun-up and the sun-down AND THE EARTH and how we steward. Love your blog and I'll be back, much good advise and knowledge here! a great idea to can your food, very Amish of you to do. With a lot of the English it seems to be a dying art form. Richard from the Amish settlement of Lebanon county. Great post. We too, are working toward the same goal of self sufficiency. To be honest, I have found that our lifestyle is probably more expensive but we have come to the conclusion that it is not about money. I am loving your blog! Great post, so many good points. I feel the cost of getting well, or maybe chronic illness, would be much higher than being as healthy as we can be... That is the bottom line for me. I think if you received "payment" for the way you try to work ecologially sound, for saving on transport etc. - and for having extremely high quality food -you'd be well in the plus in your calculation. not to mention the satisfaction you'll get out of producing for your own living! the downside of this is that no tax office etc. will factor this in, but maybe you will be more than just even in a few years time? you've only be doing this a short time after all! I don't think its just the money your spending on food for your animals it that you know where the food is coming from. Our garden is in a growing like a weed along with some weeds and next spring we will be adding some chicks! I can't wait tell my pantry looks more like yours!!!! I'm sharing this on the farm facebook page! I'm sharing on fb too! Excellent summary. The cost of time would have to be factored in as well my husband always says, but in reality, that's me time...relaxation not work. It's about knowing what went into your food and what you will get out of it. Jane, that is a real plus for vegetarians, and something everyone should consider as they make their food and lifestyle choices. I have to say that if it wasn't for what I'm saving on what we do provide, I would have a harder time affording the things that will enable us to be even more food self-sufficient. Richard, that is sad but true, though I think the interest is coming back. I know you can attest to the rising interest in Amish ways. Sherri, excellent point and another good reason. I used to have some friends who felt it was a "pay now or pay later" when it came to their buying only organic foods. It's very true though. Bettina, I agree. On the days I'm too tired to move or discouraged, I ask myself what the alternatives are. Honestly, for us there aren't any. Going back to the typical consumer lifestyle is not an option. Julie, there is such comfort in that, isn't there? Very exciting about your chicks! Renee, another good point. The taste doesn't compare! Mike, love that word, "empowerment." That is so true, it is a comfort to know that no matter what goes on out there, your family can still eat, and eat very well at that. Marissa, these days, even shopping at Walmart, I don't see how folks make ends meet! I always aghast for the amount I pay compared to what I walk out with! I'm honored that you would share this post. Risa, that goes for you too! Very well said. Sometimes it gets discouraging with all the time & money being put into homesteading. It helps keep us going to get reminders, such as this post, of what our values are. It is one of the reasons I try to read a few blogs a day! Thank You for writing this Leigh! Very well said. We lose sight of important things when we focus solely on monetary value. I, personally, think that is the root of all evil. Quality, safety, philosophy - it's all in there. Thank you for a well-thought-out, well-written post. Also the oil and pollution from all that trucking. I have yet to buy local but that and the cruelty of commercially raised animals is disgusting. I am a new reader and am adding you to my list of "Favorite Neighbors" on my blog. My husband and I are trying to make the move from the city to our farm/acreage full-time, so we, too, can live in a mode that is more self-sustaining. It's a beautiful way to see life -- for the quality instead of quantity. Love your blog! What a great post! My 'homestead' is a townhouse in town with a postage-stamp yard. Just this week on my blog I was saying how satisfying it is to grow food, seasonings and medicine on my own place - then I went to the grocery store! Several items had gone up 20 - 25% since the last time I bought them, which was not long ago! Maybe it shouldn't be about money, but I sure am saving some this summer! Michelle, I agree, sometimes it gets very discouraging! And sometimes it's hard to keep it all in perspective. Having a community of like minded folks around the world really is encouraging, isn't it? John, actually, folks need to start raising their own chickens! A lot of the health problems are turning out to be due to the diets and conditions of factory chickens. Theres a lot of good research on that, check out this article, The Truth about .....Eggs....". Susan, "focus" that's key! I agree, it's focusing on money that is the cause of so most of problems we have in the world. Greed is absolutely going to be the undoing of this nation. Peaceful, definitely. Those are part of those environmental concerns that motivate folks to grow their own. Or buy local! Lana, thank you so much for your kind comment. So nice to meet another sojourner on the homesteading journey! Deb, good for you! A homestead doesn't have to be in the country! Every little bit helps, including what we can save at the grocery store. It's true, it shouldn't be all about money, but money is a tool, and it's nice to have some freedom to spend it where we want. Unknown, excellent investments! And I don't mean investments in terms of money, but in the return you'll get in terms of food and security! I so much agree that the feeling of accomplishment makes it so worth it. Boy, you really pushed a lot of our buttons with this great post! 1) We are very concerned with staying hale, hardy and healthy for as long as we live. We don't believe that is possible by consuming commercially grown/prepared food. 2) We want to be able to take care of ourselves, to have the know-how, the ability to provide food for ourselves without having to rely on someone else. I did not get in this for money....spent a fortune traveling all over to to only buy documented/tested CAE/CL free goats. Still saving for another barn & more fence....no garden this year because of the drought & I'm not doing meat rabbits this year because of the extreme heat (last years stock went heat sterile, but I have plenty of rabbit in the freezer). On stressful days when I'm feeling overwhelmed I can visit the girls.....Bleuberry will lean on me, Sabrina will give you a hug, & after every has had their scratches they are content just to spend time with you. Here it's not about the money, though after kidding season is over I'm able to come close to breaking even. The value of knowing exactly what is in the foods your family consumes is priceless.... The value of lessons learned & experiences enjoyed by my children are priceless. Very well said! We get these questions, side glances and raised eyebrows too. I am ok with that because not only are we making a difference for ourselves, but others are slowly letting our 'crazy ways' sink in. So in a sense, we are teachers. It is such a satisfaction to do these things. You simply can't put a price tag on that either. Yes, it's worth every thing you're doing and more. Just knowing where you food is coming from and how it's been handled is worth all the hard work you do. I understand the cost is still high. I though with only two of us at home the grocery bill would come down but sure hasn't and I don't expect it to. Mama Pea, and we wouldn't have it any other way, would we! Crystal, so very true. It seems too, that a common thread amongst homesteaders is that they (we) are not afraid of hard work. I mean, you describe working in stifling weather and then say you love it! But all the reasons make it worth it. APG, another excellent point. I think folks think we're nuts because they couldn't imagine anyone wanting to live this way. But you're right, they do learn by watching. And it's something valuable to pass on. Barb, I couldn't agree more. And it's terrible about those grocery bills, isn't it? I thought I'd be able to buy some extras after it was just Dan and me. Now I don't know how we'd make it if it wasn't for our garden and our critters. We mostly grow fruit and vegetables that we wouldn't be likely to find in the supermarket. This morning I have been idly eating redcurrants, blackcurrants, raspberries, peas and parsley as I wandered down to see what in the garden is different today. We have a hen blackbird busily trying to eat the redcurrants and raspberries before we get to them. We went away for a long weekend to Cumbria for Woolfest, and were fretting on the return journey as the temperature had risen so much. Fortunately nothing in the garden or green house had suffered. Donna, I agree. Part of the problem I think, is that many folks are so used to financial prosperity, that they don't realize how tenuous security in money really is. I also think this is why those who do, are trying to gear down in terms of lifestyle. Life as we've known it hasn't been all it's cracked up to be. Excellent post, Leigh. SM and I were just having that converstion when we spent $40 at the farmers market this past weekend. "Wouldn't we be smarter to let the professionals do all this?" In light of this years difficult weather, expanding the garden again and STILL spending more money on seeds, compost, water, fungicide, fencing...We both agree we'd be WAY further ahead financially if we DIDN'T try to grow our own food. And how sad is that? Thanks for the reminder...It's not ALWAYS about the money. This was a superb post. I fully agree that the payment you receive from doing it yourself, is satisfaction. Which does not translate into monetary currency, no matter how you slice it. BTW, love the photo of the eggs - can't wait until I can post one of ours!! Valerie, thank you. And thank you for the link to Barry Estabrooks's blog. Looks very interesting; I'll have to take a closer look and read. Looks like he's in a good position to make a difference. BRF, thanks! You'll be having your own egg photos soon too! Very interesting post, and I have to admit that though our spending has not decreased much... same reasons, feed, etc.... we have MUCH more satisfaction eating the vegetables and eggs that are the fruits of our labors. In two years, we will be eating FRUIT for the fruits of our labors, and our satisfaction will increase... money can't buy that kind of satisfaction! Beautiful pantry. There is nothing better to me than a pantry filled with homemade goodies. This post hit home w/ me. We purchased 5 acres 1 yr ago and started homesteading. We have a nice garden, goats, chickens, etc. Our grocery bill has not dropped b/c of the animals. For example, it cost just as much or more to raise our broilers versus buying chick at the store. Granted, we are not comparing apples to apples b/c home grown is much better as you covered in your article. At first I thought we were raising our own food. But now I see us as commodity traders, who happen to love our trade. We buy one product (lil chick, baby goat, seeds, etc.) and convert it into another product (freezer meat, milk, veggies) with added value from our labor, land and oil (elect for water, etc.). I used to be a commodity trader and see so many parallels btw homesteading and trading. I want to get away from the homesteading trading business and become a real farmer. I used to be concerned about grocery shelves being empty. Now I'm concerned about the feed store. I cannot feed my animals (yet) w/o bags of feed and electricity for our well. The more we homestead the more we see how dependent we are on the system. I am thinking of ways to start growing food for our animals like you mentioned. It amazes me how far removed we've become from self-sufficiency in just 2 or 3 generations. Thanks for your post and wonderful blog. We're right behind you on this 5 acre adventure. Anonymous, thank you so much for contributing to this conversation. Very interesting illustration about commodity trading, and so true. And we have come to the exact same realization as you; how dependent we are on the system. I nodded when you mentioned concern not for grocery store shelves, but supplies at the feed store! I know we can feed ourselves, even if it isn't the most varied diet in the world. I am concerned about feeding our chickens and goats though, especially through the winter. I try to think of it as being in the establishment phase. Modern day homesteaders don't have the benefit of inherited skills, land, animals, etc. We know what direction we want to go in, we just don't always know how to get there. You don't mention if you have a blog or not. You should! Those of us struggling toward self-sufficiency really benefit from the experiences of others. Ha!... that you mentioned I should have a blog. Actually I used to have a blog that was getting a lot of traffic. 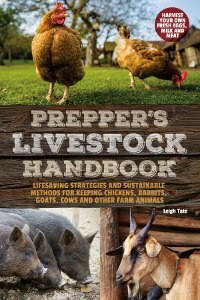 I was Houstonmom on Wordpress when we lived near downtown and were trying city-homestead preparedness on a little lot after I left law and trading to be full time homeschooling mom. However, I shut down my blog. My life was becoming a blog story. Once someone I had never met walked up to me like she was an old friend b/c she was one of my blog readers. She was nice, but not all readers 'loved' me. It became too distracting. And controversial. People didn't always like my conservative views and the negative comments took too much energy. So I stopped blogging and now lurk on blogs like yours. After having my own, I very much appreciate writers such as yourself. Good blogs take time, energy and love. You share your life hoping to help others. You're right about that! Blogging is time and energy consuming, and sometimes I seriously consider giving it up. Yet, I have a sense of calling, so to speak, of ministry in doing it. There are so many folks who realize that the world system is failing; they are looking for a way out, but have neither the knowledge or skills. In that sense we're all searching. I think the key is mindset. Homeschooling is a good example. When we started homeschooling I initially thought I had to model everything after the government school system. What an eye-opener! Nothing destroys a love of learning quicker than that, as most homeschoolers discover. I think the same is true of our approach to farming and agriculture in general. We assume the methods of agribusiness are the route to go because we don't know any different. I absolutely agree with your decision to focus solely on homeschooling. There is no more precious a pursuit than that. I laid aside almost everything else for 11 years and have never regretted it. Thanks for your encouragements. They mean a lot! Ron, I firmly believe that something is better than nothing! Good for you for growing at least some of the food you eat. And excellent point about the health benefits.